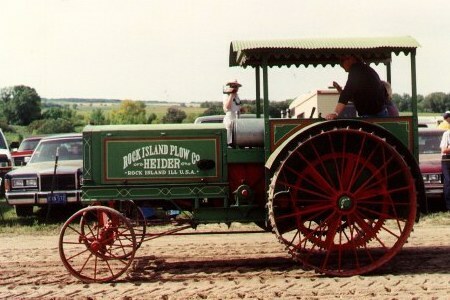 1992 was the 150th anniversary of the J.I. 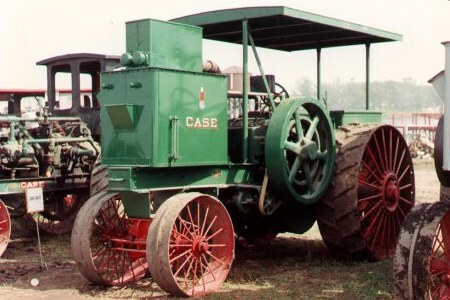 Case Manufacturing Company. 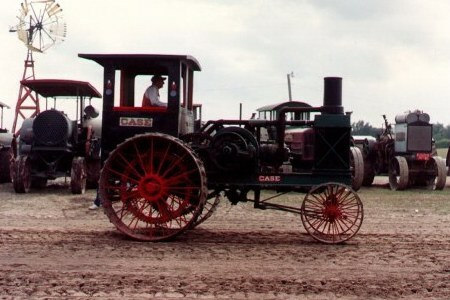 Hundreds of exhibitors brought their Case steam tractors, gas tractors, threshing machines and models to the Western Minnesota Steam Thresher's Reunion at Rollag Minnesota. 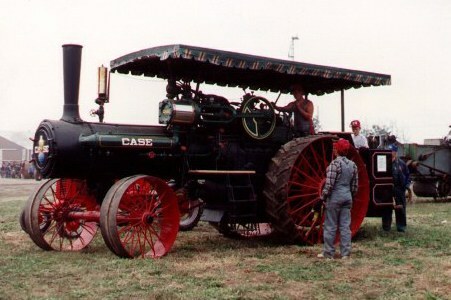 This is a 40-72 Cross motor Case owned by Dennis Powers. 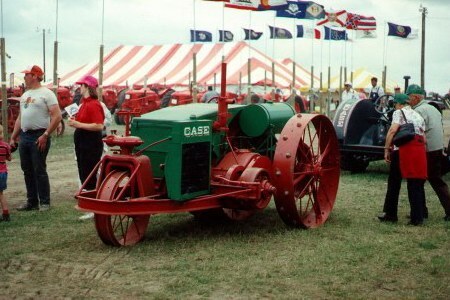 This is the largest gas tractor made by Case. Here are a pair of 30-60 Cases. Also very rare. 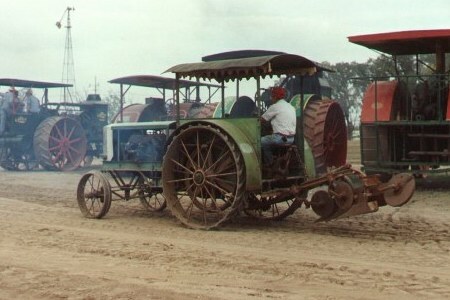 These tractors have two cylinder, horizontal engines. The large box on the front is the radiator. The exhaust is directed out the top of the radiator to induce a draft. 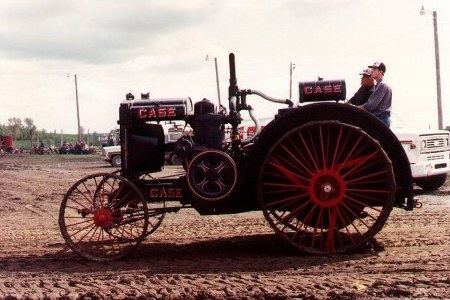 This is an early cross motor Case. 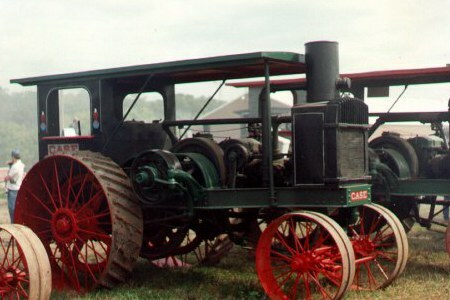 Cross motor Cases have four cylinder vertical engines that are mounted sideways in the tractor. Here is a rare 12-25 Case. 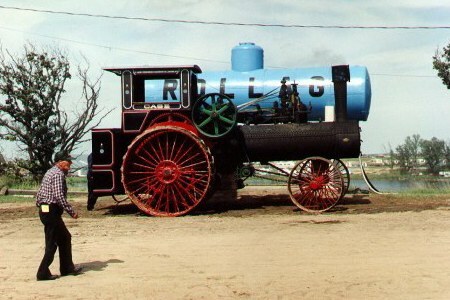 It has a two cylinder opposed engine. 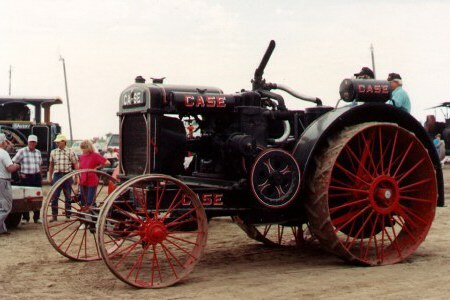 Case built a lot of these 20-40 horse power tractors. The 20-40 means that the tractor is rated at 20 horse power on the draw-bar and 40 brake horse power on the belt. 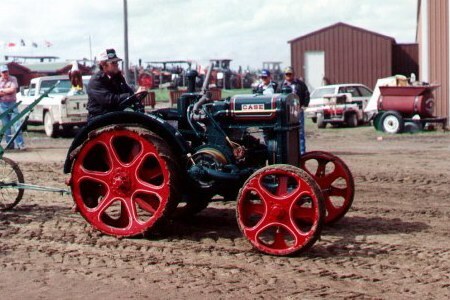 These tractors also had two cylinder opposed engines. Here is a small cross motor case. 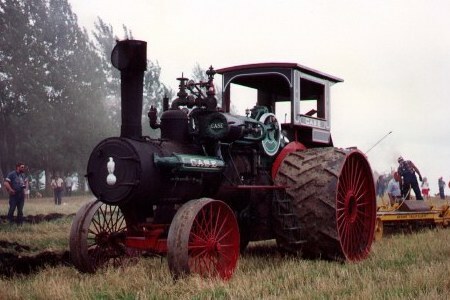 There were several of these 110 hp Case steam tractors. 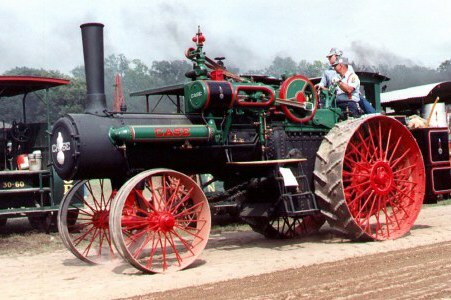 Steam tractors were well represented. An area was set aside for Case cousins. 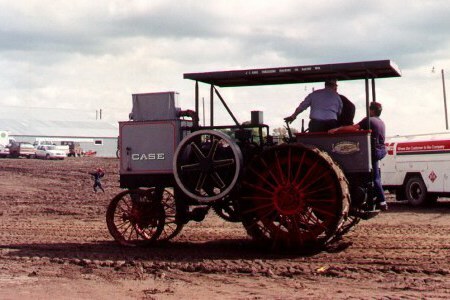 Tractor companies that were acquired by Case. 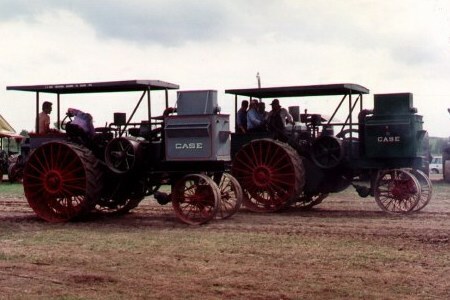 Here is a pair of Emerson Brantingham tractors. 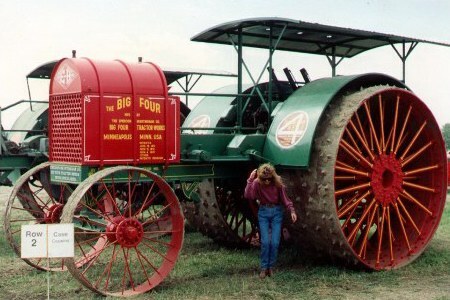 The tractor on the left is a Big Four 30 with a four cylinder engine and the tractor on the right is a Big Four 45 with a six cylinder engine. 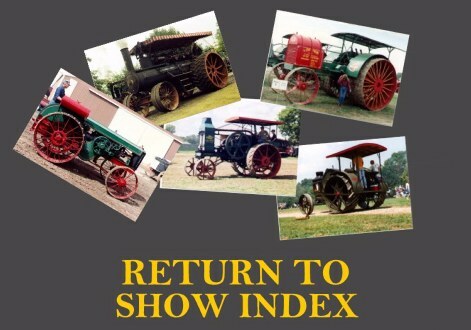 Both tractors are very rare. 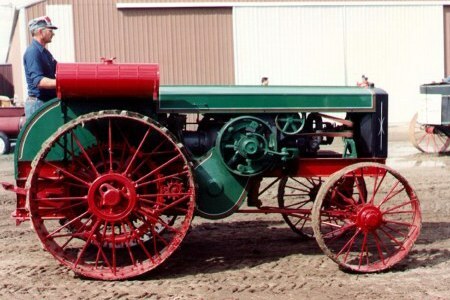 Case also bought-out the Rock Island Plow Company which produced these Heider tractors. 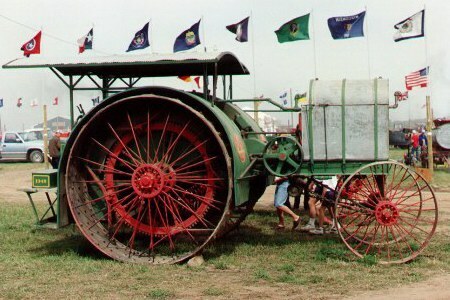 These tractors have friction disks for a transmission. 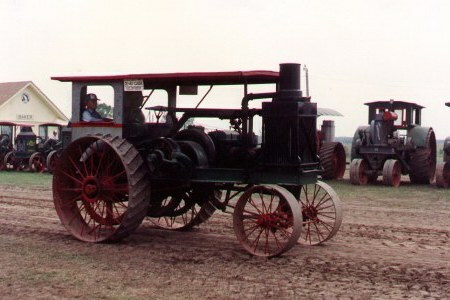 The tractor in the first picture has an original two bottom mounted plow with power lift.